Avatar Secrets explores the complexities of human connection in the networked world, through director Ramona Pringle’s journey across borders and bandwidths in search of love, meaning and community in the 21st century. Faced with uncertainty, after a series of events shake her life, Ramona ventures into the massive online game world. A virtual tourist in new terrain, she creates her own avatar, Tristanova, and together they begin their journey. In the process of leveling up, Ramona faces new obstacles with each quest, and is pushed to question her understanding of the world. An entertaining, intimate, and emotionally riveting tale, the interactive project explores constant connection and hybrid reality through story, format, and aesthetics, seamlessly weaving between worlds through a unique combination of graphic novel aesthetics and cinematic content. 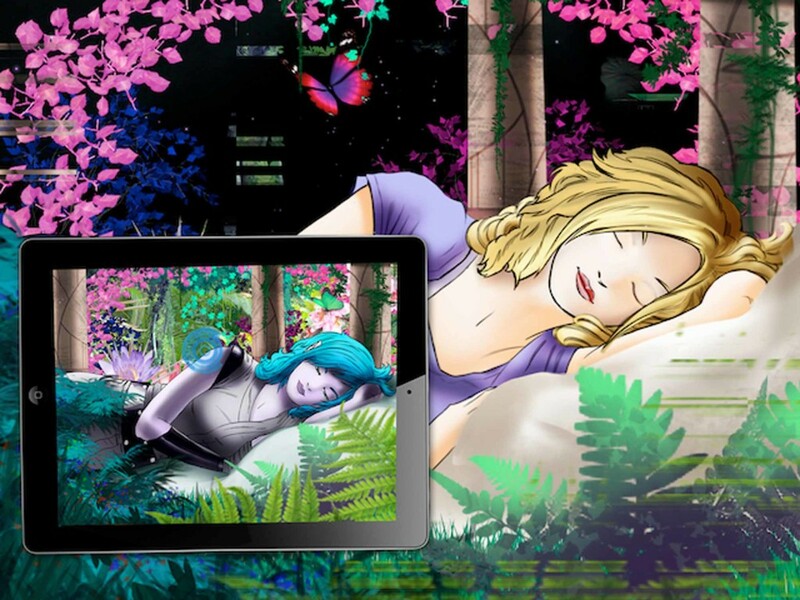 The first of its kind, this appumentary brings the richness of a transmedia experience into one device. Innovative features create an intuitive interactive movie experience, that participants can dive deeper into, as the story pulls us into the digital frontier. With layers of expert interviews – including Tiffany Shlain, Vint Cerf, John Hagel, and others- as well as touching vignettes, and hotspots, Avatar Secrets explores the truth behind our need to connect: we’re not addicted to technology, we’re addicted to each other. 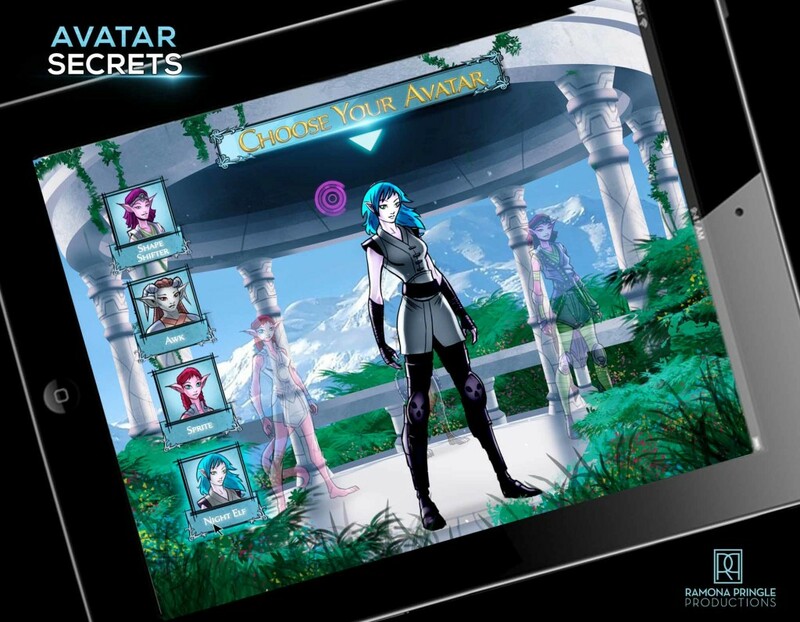 About the platform: Developed for the iPad within a multi-layered 2.5D interface, Avatar Secrets combines cinematic live-action footage, and a memoir told through animated sequences, with compelling case studies, and interviews with some of the world’s leading minds in the digital conversation. This project takes a new format designed specifically for our ubiquitous mobile touch screens, and ushers in a new generation of entertainment for the contemporary user that is an intuitive hybrid of TV, film, gaming and print media. With the transition to tablet and the creative and technical affordances of mobile touch screen devices, this new format for the storytelling experience is more intimate than ever. Avatar Secrets was the first interactive project to be featured in the official Hot Docs Program. The installation, which was featured in the atrium of the TIFF Bell Lightbox for the duration of the festival, brought the interactive experience of an iPad app-doc to a public audience, with a large scale touch screen version of the dynamic and visually compelling project that integrates cinematic content, graphic novel style animations, rich media interviews and thematic vignettes.